Yes, but not for that much. But he's a squad option which is what we need. Look at Mane the last couple of games. He's carrying a knock or something. We need Alex (Not "The Ox") and maybe another, to take the load of Mane and Salah. Yes they're ferocious but no they won't do it on their own for the season on all fronts. Also, and I know it was in a game we won 4-0, he played in the midfield 3 for Arsenal. So he can also play in there, which is needed given Coutinho and Lallana circumstances. I've said a few times in here I think he is an option I would have looked at if our team was the finished product but would rather have focussed on more pressing areas right now. But his determination to come here is very impressive and not something you would often see. Our depth up top now is frightening and I think getting out of that mediocrity that's in place at Arsenal and under Klopp with Klopp's style will see him surprise a few people and he will start more games than many of us think. Be interesting to see how the boss uses him. Let's not dwell on this too much. 1. The 180 was dependent on CL football at Arsenal. Hmm...not likely for a while. Basic was likely similar. 2. We've offered him 6 years. Arsenal were offering 4. 3. We've got no idea what bonus deals LFC are giving him. Could be all sorts. Welcome to the club young man. I'm delighted with this. Think he will push himself harder to make sure he starts every week. Got to be better than Downing. Was a fan of this move from the beginning so I'm pretty chuffed to see what he can do in an LFC shirt. However, my gooner mate (quote) "you can have him he's thick as shi...t! ", and that was a few days ago. We'll see. Gotta put some trust in Klopp, I was skeptical about Lallana as a centre mid and he was excellent in the role last season. I didn't think Milner could play left back but he was solid for virtually all of last season playing the role. Got to hand it to Jürgen because he can coach and improve players. Or has some excellent attributes. He's quick, he's strong (as an Ox boom boom! ), he can beat players, he's a decent dribbler, he's not a natural defender but if you watch him he marks, tracks and tackles, his work rate is excellent. Question marks for me would be his range of passing in a central role and also his touch and technical ability to play in the busiest area of the pitch. Was a fan of this move from the beginning so I'm pretty chuffed to see what he can do in an LFC shirt. However, my gooner mate (quote) "you can have him he's thick as shi...t! ", and that was a few days ago. We'll see. Gotta put some trust in Klopp, I was skeptic all about Lallana as a centre mid and he was excellent in the role last season. I didn't think Milner could play left back but he was solid for virtually all of last season playing the role. To me that sounds perfect. I thought Chelsea were also offering 180k/week. Also turned down £220k a week to Chelsea. That is beyond commendable, that deserves massive respect and appreciation. In the day and age of greed ruling so many decisions, while of course £120k a week is hardly chump change, to take £100k a week pay cut to follow your dream and join our club impresses me massively. Career over pocket, dream over greed, well played fella. Well said. This lad is the signing of the Summer in the Premiership, not just for Liverpool. I think he's an attacking midfielder who can also play in other positions. We've had one of those for a long time until a couple of seasons ago. Some articles saying he chose LFC cause he has a better chance of playing centre mid than if he'd gone to Chavs?! Never saw him as a CM, but maybe he's spent time there in the past, I dunno. Not sure I see him in the first XI with others fit, so 40mill is some money not to be an automatic starter. But let someone else worry about the spend, I just wanna see us strengthen, as long as he improves us, we absolutely need more depth to properly challenge in all comps. Haven't seen it from him yet in the PL on any consistent basis, but hopefully Klopp can get more gametime out of him than Wenger, who should really have gone end of last season. Assuming goes thro, hoping for good things. Unless it's fake, this move is now complete. Some articles saying he chose LFC cause he has a better chance of playing centre mid than if he'd gone to Chavs?! I can't see it, unless we play 4-2-3-1 and he is the CAM with Mane and Salah as the wide attacking midfielder. Personally think he's been brought in to rotate with Mane/Salah on the wings, but time will tell. I wake up and he's signed. Shown enough determination to want to be here and Klopp wants him. Good enough for me. I agree and taken a pay cut too? Never really rated him he's always been talked about as potential? Well if anyone can release potential in a player it's jurgen? Still not sure about the Ox, he just comes across as a Navas/Lennon type wide player with physicality, and for 35m We shall see I guess. Nope.. He's not. Navas/Lennon are like Valencia, all they can do is running through the straight path on the pitch, with no ability to use their left foot . Ox uses his both feet (though his left is still weaker, but not as weak as those 3 players above). His movement is more unpredictable, and damn! Maybe you won't believe this as it seems from your comment that you don't really watch him play at all. Bcos in some arsenal games last season, when this kid examined to fill the cm position, he can read the game well enough. He's got a lot of vision too, added by his typical skill of a winger, and his bravery to penetrate & bring the ball, i think that'd be awesome.. Even if coutinho leaves, (which i don't want to), ox can bring some depth and considered as a decent replacement for coutinho, though it's not in the sense of him bringing the same quality as coutinho has, but his versatility to be played in a lot of position in our 4-3-3 formations, that's already become a sort of advantage for us. I'd consider it as a decent move, not spectacular, and not bad either. Last season, he's filled that position (CM) a few times.. And he's good there. Remember lallana at soton? He was a winger there. But now, he is a competitor for our midfield post. If we have signed the OX I can't be the only who feels a bit meh after yesterday's heady excitement of the possibility of getting a much better sort after player in Lamar, I wonder what the OX is smoking if he believes he's getting a game for us in centre midfield utter madness. Don't see him pushing any of our first XI out but Lamar maybe would have and that's what we need top quality competition not just decent. 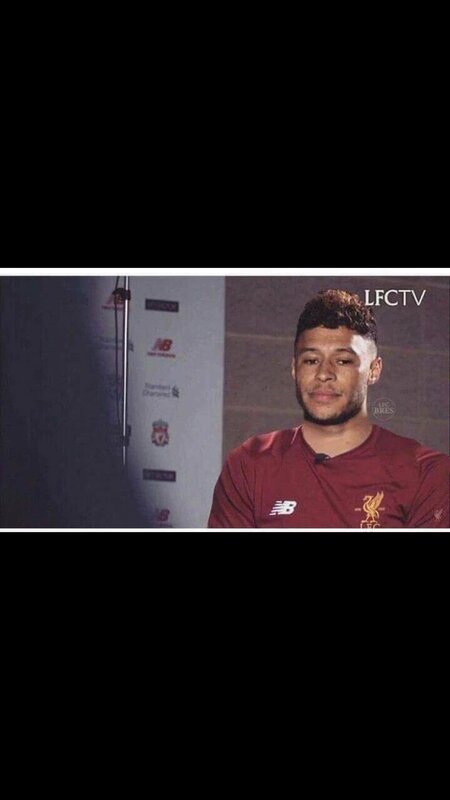 Remember how everyone have underestimated lallana's or mane's move? And now only a fool liverpool fan who won't like 'em both. If we buy him I hope he proves me wrong but as of now and taking to some friends who support Arsenal he isn't good enough and he isn't going to improve the starting eleven. I would take him as a backup but we need to spend money improving the first team, specifically the defence. This move is for the depth of the squad. Klopp wants some competitions over every position. That's why he brought karius too. Not to become an instant regular GK, but to get the best of simon, to enrich his options, to get 3 strong GK. Do u really think that if we could get lemar, he would be an instant main option for klopp? I really don't think so. Because it's for the competitions regard. More importantly, rotation. That there wouldn't be any significant declining of quality, when we bring some different players for some different matches.. That's what klopp's are intent for. To have a lot of lineups, that's pretty much bring the same quality to roam this long season ahead. So what you saying is when we signed Karius to push Migs it was actually like getting two GK's? Welcome to the site, homie!